'Summit' is E-reward's executive remuneration database – A comprehensive and accurate source of timely information on board-level remuneration data sourced from company reports. >>> View a short (3.5 minutes) demo video of the Summit Executive Remuneration Database: https://youtu.be/fLrUAF66-Jk via YouTube. The Summit executive remuneration database was launched in 2015 with the purpose of providing comprehensive and accurate information on this evolving area of reward. Stretching back to 2002, it includes information ranging from the largest FTSE 100 companies to the smallest Fledgling and AIM firms gathered from company accounts. Summit differs from other boardroom pay solutions because it is the first time that information on ALL the significant element of executive remuneration policy can be found in one place. Over 300 AIM and Fledgling companies and information on more than 100 SmallCaps. Records the key remuneration data from remuneration reports – including single figure and realised pay, scenario pay forecasts, incentive awards and gains, incentive scheme design, pensions and benefits. Our senior analysts are executive pay experts with over 20 years' experience in the field. This means they have a deep understanding of the subject matter, history and terminology – resulting in more accurate and authoritative output and comment. As well as the raw figures, the database incorporates many additional text fields which provide context to the hard data. It highlights examples of practice that are either notable or depart from the norm – making it easy to search for very specific instances when the need arises. The database has many built-in features to ensure that the data entered is accurate and our team undertakes numerous extensive cross-checks to ensure that all the information included is consistent and correct. Executive remuneration is an evolving and fluid area. The database mirrors this. We are not tied to any online or other platform so we are able to make changes where necessary – almost immediately with no down time. Our analysts are continually updating our list of accounts in order to ensure that the latest available remuneration reports are incorporated into the database as soon as possible. Entering executive remuneration data is not a typical data entry job, despite the misconceptions of many. A deep knowledge of the subject matter is required to interpret what is often extremely complex information in order to attain the high levels of accuracy that remuneration committees expect. 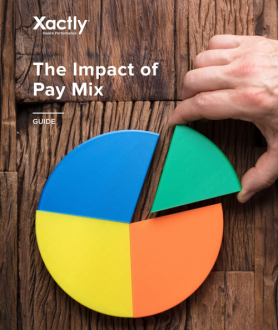 Top executives have by far the most complex remuneration structures of any staff group and calculating what they earn, especially from variable pay schemes, and understanding how companies present the data requires experience, analytical skill and patience. Many organisations have attempted to replicate the work we do using temporary or contract staff but ultimately, they have been unsuccessful. Simply put, contract staff – while offering cost savings – do not possess the specialist knowledge required. The vast majority of tables found in UK company remuneration reports exhibit a detailed array of footnotes providing greater insight into what each of the figures actually mean that would not be picked up by simply transcribing figures directly. Even examining the new 'single figure' remuneration tables that are intended to be standardised illustrates many differences in disclosure. To use individuals with an in-depth knowledge of the subject matter – we believe the over-riding aim of accuracy is of paramount importance. To take a more tailored approach to data input in order to enter and interpret information correctly so it is placed in the relevant context rather than simply blanket copying large swathes of data. To use a detailed database designed on the foundations of years of experience collecting this type of information.